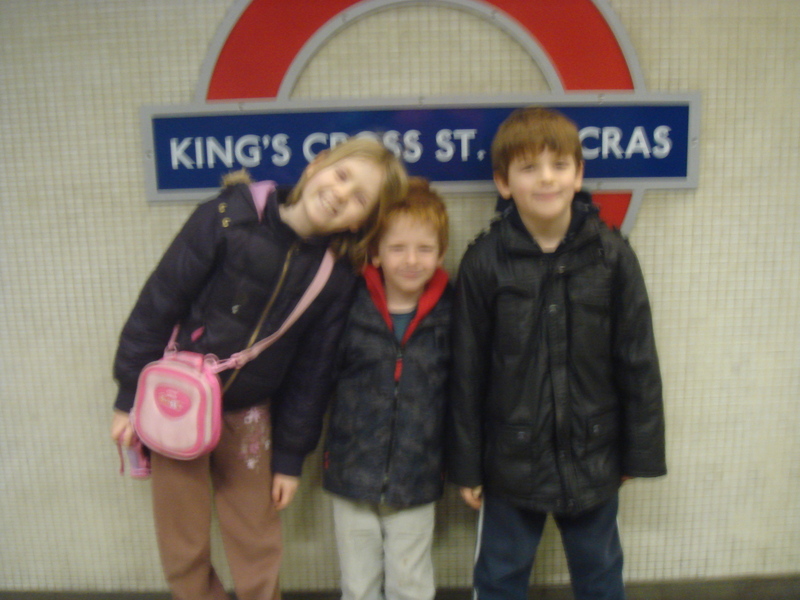 That’s how we spent our half term holiday: learning to use the Tube. Well, we did a few other things as well, but when the Joker told people about what we’d been up to, the Tube featured rather heavily in his report. My mother is a Super-Organised Nanna and we’d agreed to go and stay with her and Grumpy Grandpa in London for a few days. The Vicar managed to break away from his sermon prep long enough to spend some of the time with us aswell. S-O Nanna had comprehensively surfed the net to work out the best things to do with an 8 year old, a 7 year old and a 5 year old in London during half term. So we had a trip to the Science Museum, a visit to the Tower of London and finally an activity morning at the Museum of Childhood. Of course we visited all these places by tube, which, when you’re under ten and don’t have to do it all the time, is a wonderful treat. This is the first year we’ve been able to do this sort of visit because the Engineer is only just out of the buggy and not whining all the time he has to walk. The Science Museum trip was the least successful, even though the Vicar was able to come on that one. Even though we were at South Kensington tube station by about 10.45am, there was already a queue to get in. And after we’d had our picnic lunch by the interactive section we would have had to queue again for around 45 minutes to get into the part with all the buttons. The children enjoyed it, but it was really too busy. I think we’d only return there on a school Inset day, when not quite the whole world is trying to visit. Apparently the Natural History museum is similarly heaving during half term. But it is free. Our favourite part of the Science Museum was probably a story time session, where one of the staff told an interactive story about a visit to Iceland. Her story taught the children about snow, ice and volcanoes, using actions and a white parachute. It was most suitable for younger children although I think the Queen probably enjoyed it the most – she loves drama. Ooh – and we bumped into some old pals from Vicar college. We’d not seen them for nearly five years. London’s a small place. Or Vicars and their families like to do free things in half term. Half term has just begun and I am very relieved to have a few days ahead where I can spend a few more minutes in bed of a morning. Plain Lazy is not my favourite t-shirt company for nothing. So this week I am going to gather myself together to prepare for what I am expecting to be a busier time ahead. Oh, and take the kids to London to stay with Nanna and Grumpy Grandpa and visit some museums, obviously. I may be lazy but I have an organised mother. Last week I managed to add a couple of extra responsibilities to my life. Since the Engineer has started full time school, I have been wasting too much time faffing about. I always seem to get more done when there’s more to be done. So I am now officially a school governor and, following much red tape and council bureaucracy, I am also – ta-daaa – a school volunteer. So now I’m Vicar’s Wife, Parent, Governor and Volunteer. I only need to start supervising dinners and I’ll have a full house. I shall be going into school for two mornings a week to read with Year 6 and Year 2 pupils. I’m sure there’ll be much fodder for blogging, but I’ve signed the school’s paperwork agreeing to confidentiality. So I’ll not be able to share anything with you guys. Sorry. I’m looking forward to helping out in a school which has 35% pupils with special needs and some from difficult home situations. I know a bit about the governors, because the Vicar is already on. I’ve been reading his stuff a bit so I’m already vaguely in the loop. Sadly my school gate pal Neatnic didn’t apply – she’d wanted to but couldn’t face writing the 75 word manifesto that I struggled with. I’ve often heard local parents talk about wanting to get involved at school but they then seem to find the actuality too hard. It’s obviously not helped by the ridiculous bureaucracy that seems to have grown up around volunteering – CRB forms, council applications etc. But I think others are still nervous around teachers, seeing them as the grown ups, as if they themselves were still at school. One of my aims in helping out at school is to help some of these parents make the step into school. I’m not sure how – any tips would be very welcome. Babies and Bibles – where to begin? Stuff that I have to think about hard doesn’t often make it onto the blog. I’m busy. And lazy. So despite my best intentions, my reviews of children’s bibles, about which I think I have a bit to say, are so far limited to one. And anyone who reads my Twitter stream would probably deduce that if I can’t clear mould from my windows, other stuff doesn’t always get done either. Despi te my general ineptitude, those excellent people at the Good Book Company still somehow thought that I might be a suitable person to review their newest bible study booklet. I’ve already had it a couple of weeks and wanted to share my enthusiasm for it with you. They have come up with a great addition to the range. It’s called Beginning with God and is subtitled ‘Exploring the Bible with your child’ and ‘Bible discovery for pre-schoolers’. The colourful cover invites you to ‘Taste and see that the Lord is good’ and inside are 29 studies from Genesis and the gospels. I haven’t test driven the studies in the Vicarage (the Urban Pastor, has though). The Engineer is already reading for himself but I really wish we’d had this book a few years ago. I reckon you could start using it as soon as your child can sit up and take notice. Once your child can look at the pictures in a children’s bible, this book would be a very useful addition to the parent’s bible armour. Beginning with God is designed for use with the Beginner’s Bible (which must be only children’s bible NOT in the Vicarage library). But it’s based so simply on well known bible stories that I think you’d get by with whichever one you already have. Each study page is crammed with information, and can seem a little overwhelming at first glance. But after taking my time to read them through I became excited by the format, especially the many practical suggestions about prayer and making the bible story relevant throughout the day. The studies are broken into appetisers, a main course and a snack for the journey. 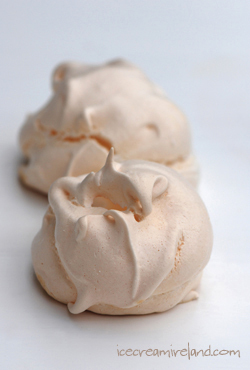 The appetiser menu is a great list of ideas of things you can chat about or do in introduction to your bible time. The main course includes prayer suggestions, a simple summary of the main truth learnt from the bible story and some great questions to ask your child. The snack is an idea you can carry with you through the day to continue the conversation about the bible reading. The Vicar and I tried to do most of these things when the children were young, but it was so hard to know where to start, especially with the Queen, who was first. Neither of us had been brought up reading the bible regularly so we didn’t have a clue and bumbled along asking everyone we knew for their suggestions. This book would have been brilliant for us. And having run a 2-3s creche, I also think this book would be a great resource in a small church for the littlest kids group. 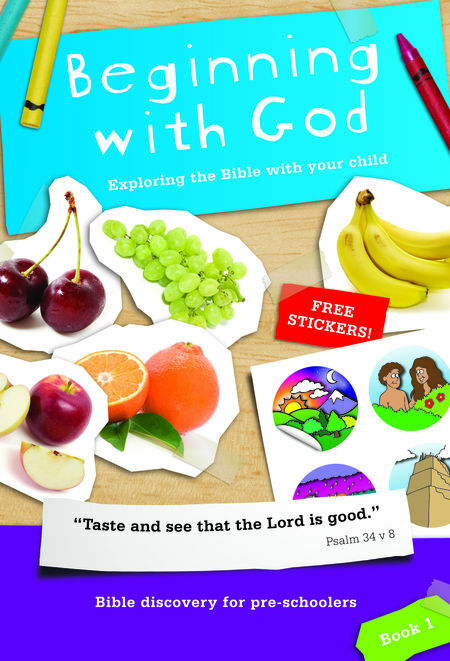 The book is also packed with bonus extras – stickers (the delight of every small child), craft ideas, tips on prayer and a cut-out-and-keep sheet of ‘snacks’ that you can shove in your pocket or handbag, to remind you to keep talking about God throughout the day. At £5 it’s quite expensive, but littlies love repetition – you could use this a good few times until the kids notice! We had our Quinquennial last Wednesday. Oh the joys of being Anglican and living in the world of archdeacons, Septuagesima and antidisestablishmentarianism. But thankfully a Quinquennial is not as complex as any of these: is just a five year anniversary. And it’s the shorthand for a five yearly inspection of church property. In this case it was of the Vicarage. It’s the diocese’s way of ensuring that essential maintenance is done on crumbling Vicarages at regular intervals. So we had a visit from our excellent diocesan architect and he went round making a note of the broken door handles and peeling external paint. He gave us the good news of the four year double glazing programme to which have now been added. Meaning that we should get double glazing in about a year’s time. So we’ve another year of pretty iced window photos to come. And he admired our wood burning stoves and wrote a long list of works. These then have to be quoted against, go up to a diocesan committee and then get commissioned. My vicar’s wife friend, Snap, who lives in a different diocese, says her work, already identified, won’t be started on until September. 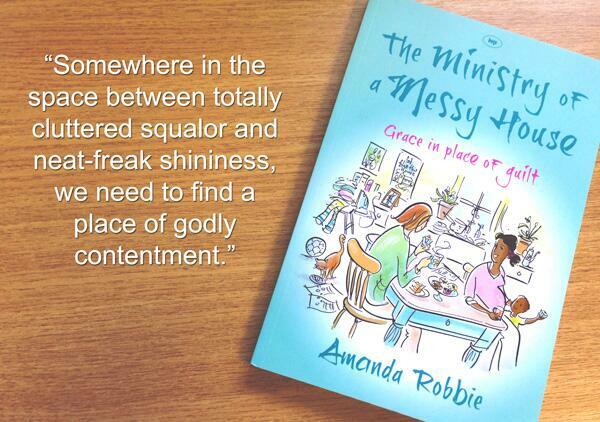 The joys of ministry. But at least it’s in the pipeline. As the architect left, a surveyor for the insulation company commissioned by WarmZone arrived. He went round our cold bits and has promised loft and cavity wall insulation before Easter. So although we’ll not have the double glazing, we should be properly insulated next winter. After our visit from Seema the other week, we were under the impression that we’d get this work done for a bargain £49. But it seems things are turning out even better for us – npower are now funding the project completely for all payers of council tax in Sandwell. So if you live near me you can get this help for nothing. Gratis. Wonderful. But not if you’re my friend Tink. She applied for help from WarmZone, but her private landlord has declined to have anything done. She tells me that although they offered the loft and cavity wall insulation for free, because they declined to provide a free boiler as well, her landlord decided not to have any work at all. In the meantime, Tink continues to pay higher bills for energy than all her neighbours, living in council owned property in the same terrace. And there’s nothing she can do about it apart from continue to bid for a council house, just as she’s been doing for the last two years. 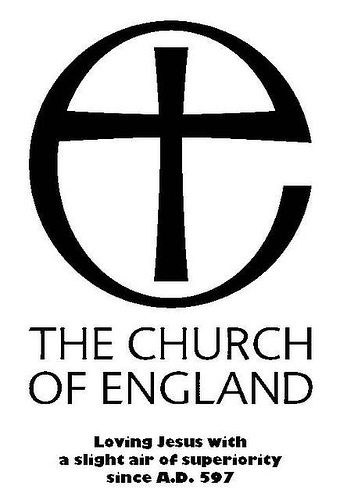 Sometimes I have reason to be thankful for the Church of England. But’s that’s all for another day. And unlike your MP, I’m totally free! We are very stingy ecofriendly here in the Vicarage don’cha know. We use our paper shreddings as firelighters. In fact we shred every piece of A4 paper we can, because we’ve found that strip shredded paper is a brilliant base layer for getting the logburners roaring quickly. It burns easily and creates lots of air space to encourage the fire. Recently I’ve been trying to get on top of some paperwork which hasn’t exactly been properly filed. Piled up in the utility room would be a better description. And I was getting rather fed up of interrupting the Vicar in his study in order to shred. But happily all has now been solved by the purchase of this excellent shredder from our local Lidl for a mere £8.99. Not only was it cheaper than nearly every one we’d looked at online, but it also sits neatly on top of the shredding basket next to the woodburning stove, thanks to its cunning telescopic arm. Just wanted to share the joy. You know. They might even have one left at your local Lidl. If you’re lucky.